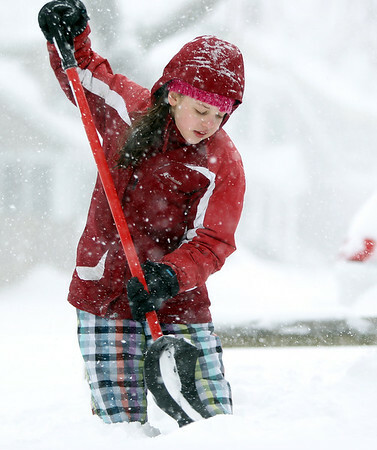 Sarah Mann, 14, of Marblehead, shovels out her front walkway on Tuesday morning. DAVID LE/Staff photo. 1/27/15.